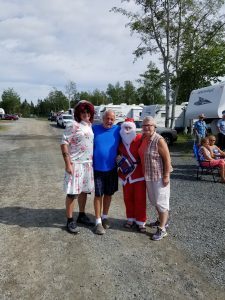 Well its hard to believe that the season is coming to an end here at the park. 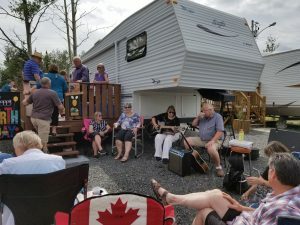 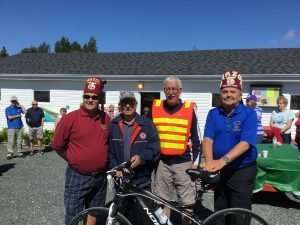 Labour Day Weekend was a very busy time its the official visit of the Shriners Divan. 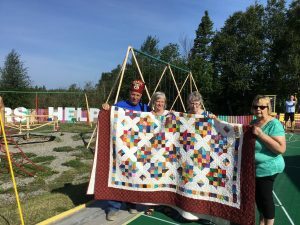 They arrived on August 31st at the park and a meet and greet was held at the parks Recreation Centre. 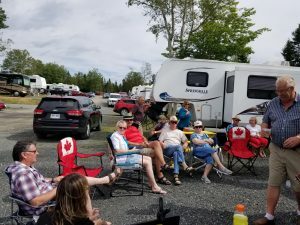 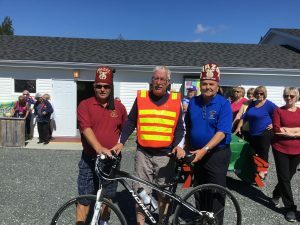 Saturday September 1st, Wayne Hounsell a patron of our park done a bike ride from Gander to the Shriners Park to raise money for the Patient Transportation Fund, It was a huge success and many thanks to Wayne for doing the Ride For The Children. 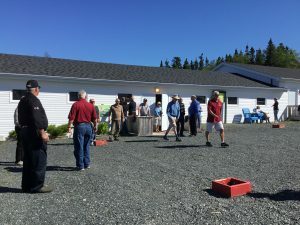 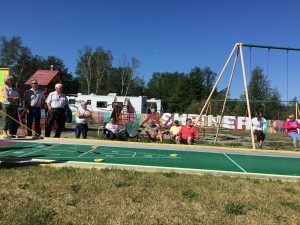 while we were waiting the arrival of Wayne from his bike ride there were games of Shuffleboard and Ring toss to which I could tell everyone was having such a great time from the cheers and laughter. 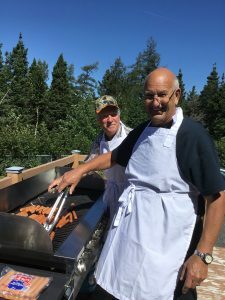 Once Wayne arrived we served the hotdogs for lunch. 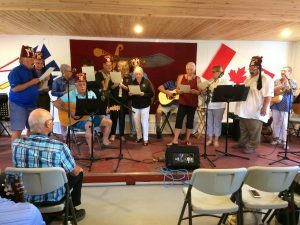 Sunday September 2nd, Gospel music was held at the Recreation Centre, there were many performers there as well and a fair number in attendance including members of the Divan. 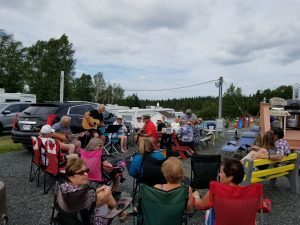 After Gospel music the Divan departed the park but the festivities did not end. 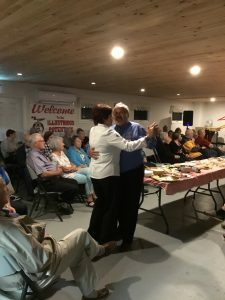 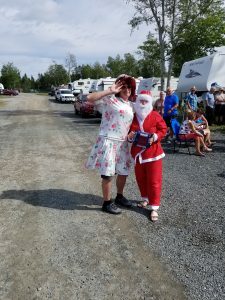 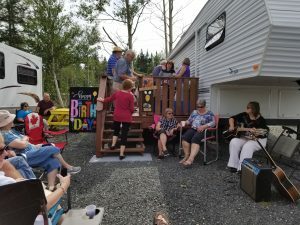 Once that get together disbursed then they went to another site for a birthday party where there was also food and singing and even a visit from Santa. 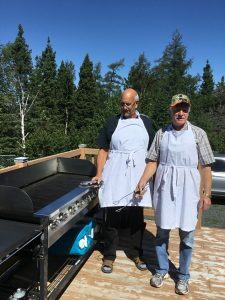 The Park Board and staff would like to thank the patrons of the park for donations to the PTF and for their support throughout the summer, without you none of this would be possible.